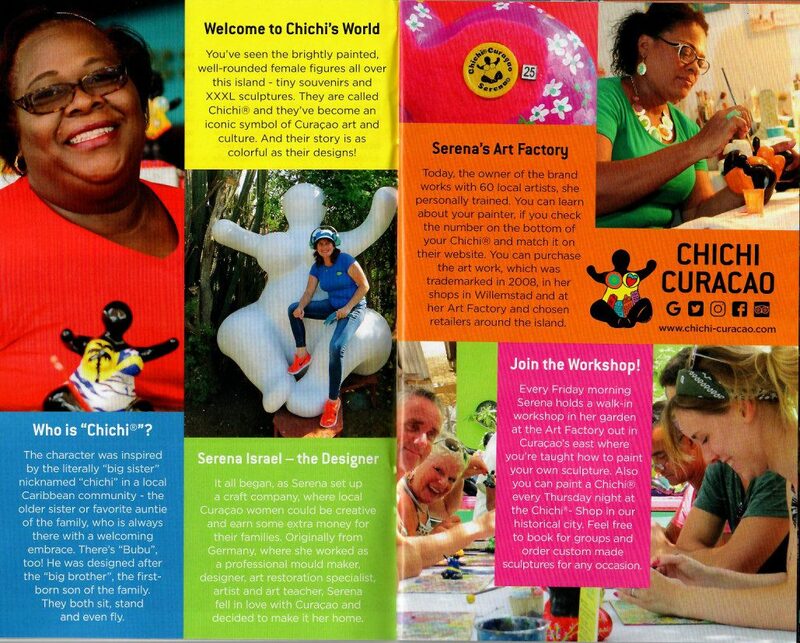 Regularly Serena’s Art Factory is being visited by Magazine reporter of different parts of the world. 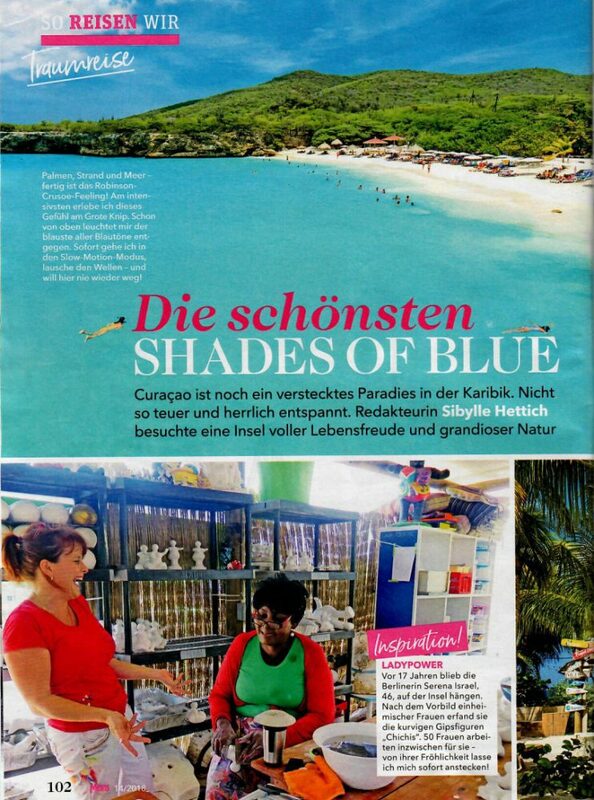 Lately ‘Meins Magazin’ from Germany wrote an article on Curaçao and the Chichi’s. 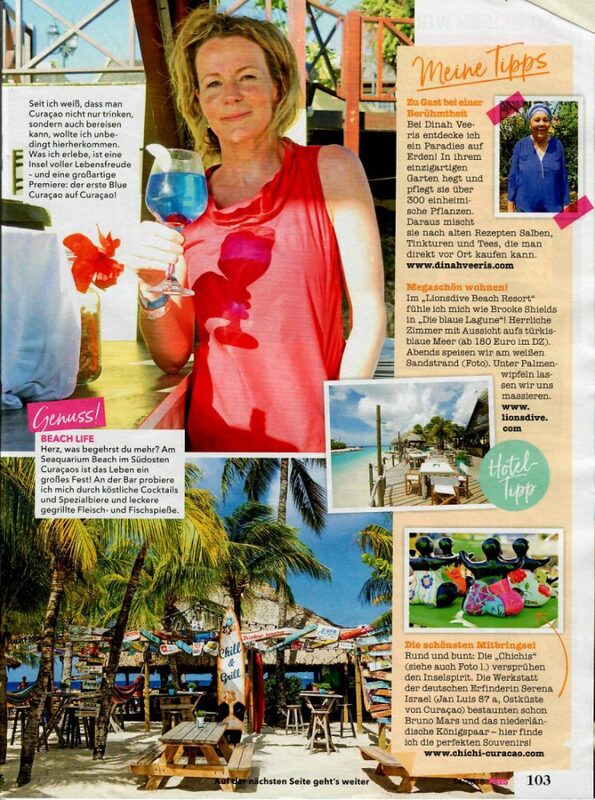 Also our own magazine ‘Curaçao Nights’ paid a full page of attention to our famous Chichi.